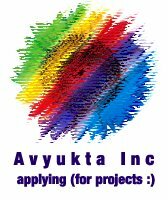 After being the best blog in the Indian Blogosphere, and rated the most valued Blogger by Google Blog Digest, Avyukta goes further to expand its popularity. Few years down the line, Avyukta Inc will invest and buy out Jet Airways. Iam offended by the way Jet Airways made business. They had miserably failed to take over Air Sahara. I will, after buying Jet Airways, acquire Air Sahara and Kingfisher. This will give birth to Air Avyukta. As the name "Avyukta" means Crystal Clear, there will be some special flights that will be Crystal Clear - Transparent body. People can look down from 35,000 feet, and the Pilots get a clear Visiblity of the runway, while landing. I, as the CEO, will decide the everyday menu. After getting bored with all the Industry, Airways and Softwares... Avyukta will think about something else. It will start a Movie Production company. "Avyukta Talkies". So many hit movies that run as much as 250 days.. including Rajinikanth's "Govinda Govinda" and Kamalhasan's "Ada Raama !". We are planning to produce Vijay in "Seerkazhi".. we chose this name because he has by then completed all the town-names in that route. Vijay is a School Peon.. and he is against all the Rowdy teachers. He becomes the Hero among the Ist standard students. The Rowdy teachers get angry and in the name of revenge, they take special classes to the Ist Standard students. How Vijay will fight the Gundas, and save the children is the story. Oh ! I forgot to mention, we have Bipasha Basu as the School Aaya! Needless to say "Avyukta Talkies" will have a big land mass in Vadapalni.. (we have taken over AVM). Did I tell you about the non-profitable charity body called "Avyukta Trust".. No kidding here.. its my dream.. it is just another Old age home. Thats all. For best results, you can Invest on Avyukta Mutual Funds. "Avyukta Pharma" was begun to make research on how to get rid of my pimples. We have invented a Soap called "Rexolux". We have acquired Rexona and Lux... we mixed the Rexona and Lux soap, and tried it on. All pimples were gone. A small burning sensation on the skin, for six months. Thats all you will face. Try it once and you will never have pimples again. But sure, when Avyukta.net is bought, I will make sure I make some revenue out of it, and start the Steel Company. keerthi, after all these....open one avyukta bank also man! it will save a lot naa?? It is always good to dream big. Kanavu kaana kaasa selavaaga pogudhu. Nee niraiya aasaipadu raasa. May ur dreams come true. Once ur dream is fulfilled, my resume will be the first one to reach u ;-) Hopefully u will remember me then. First when i saw this name Avyukta in the newspaper, i thought that some one have writen about u r blog. Good ideas, many wishes kallakku. now i know what is meant by positive thinking!!! LOL! I suggest get the "Seerkazhi" stroy line registered, if not Perarsu might just flick it. Hyder, Thanks for the Idea.. My board of Directors will consider it. Lavanya, Ungalai naan vaazhkai muzhukka marakka matten. jeevan, Newspapera ? whats that ? aravind, avyuktatube ? Like Youtube ? No way ! 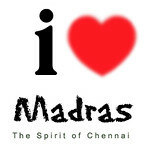 D.N.A, :) Thanks.. Nadandhaalum nadakkum !